Volvo driver Thed Bjork clinched the 2017 WTCC title in Qatar with a third place finish in the final race of the season. Bjork started the race with a 16.5-point lead over Norbert Michelisz in the drivers' standings, and knew that fourth - the position from which he started the main race - in the finale would be enough to seal the title. The Swede maintained that place on the opening lap, but was handed third on lap two by Volvo teammate Nicky Catsburg after Michelisz had made up three places early on. With Catsburg now acting as rear gunner, Bjork was able to sit in a comfortable position on track behind the Munnich Citroen of Rob Huff and count off the remaining laps. Bjork handed third back to Catsburg on the run to the chequered flag, as his fourth place was enough to secure him the drivers' title by 28.5 points over Honda driver Michelisz. That result was also enough to give Volvo the manufacturers' title, but there was some consolation for Honda as Esteban Guerrieri scored his first win of his stand in spell with the factory squad. 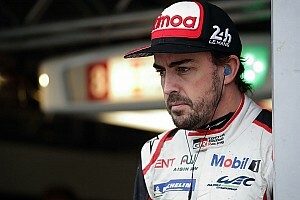 The Argentinian, who deputised for the injured Tiago Monteiro for the final three rounds of the season, launched well from pole position and moved across early on the run to Turn 1 to block any attempt from Catsburg to grab the lead. As Catsburg instead found himself squeezed out by Huff through the first corner, Guerrieri was able to make an early break and eased clear to a third win of the season by 3.708 seconds ahead of Briton Huff, Catsburg and new champion Bjork. Fifth across the line was Tom Chilton, who secured third in the drivers' standings and with it a maiden WTCC Independents' title, while Kris Richard was an impressive sixth in the Campos Chevrolet that Guerrieri had driven earlier in the season. From 11th on the grid, Michelisz made up one position off the line and profited from a collision between Chilton, his teammate Mehdi Bennani and the third Volvo of Yvan Muller to climb to ninth. He then passed John Filippi's Sebastien Loeb Racing Citroen further round the opening lap, but found Muller's Volvo a more difficult obstacle to clear. The Hungarian ultimately ended up stuck behind Muller - who came out of retirement to assist Volvo's title push - for the remaining 11 laps and crossed the line in eighth.